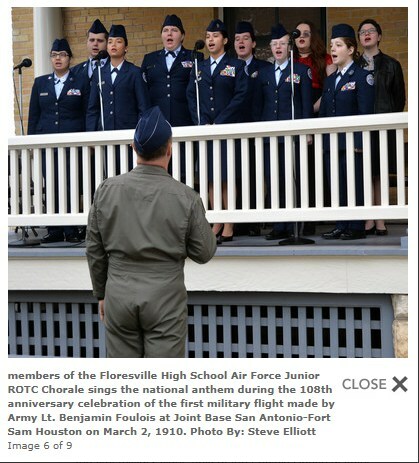 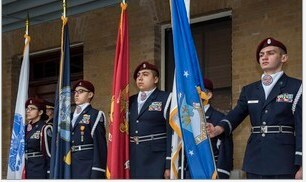 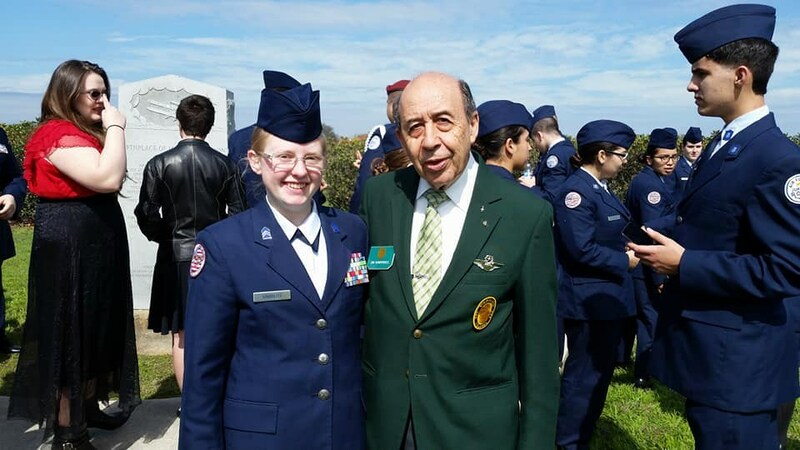 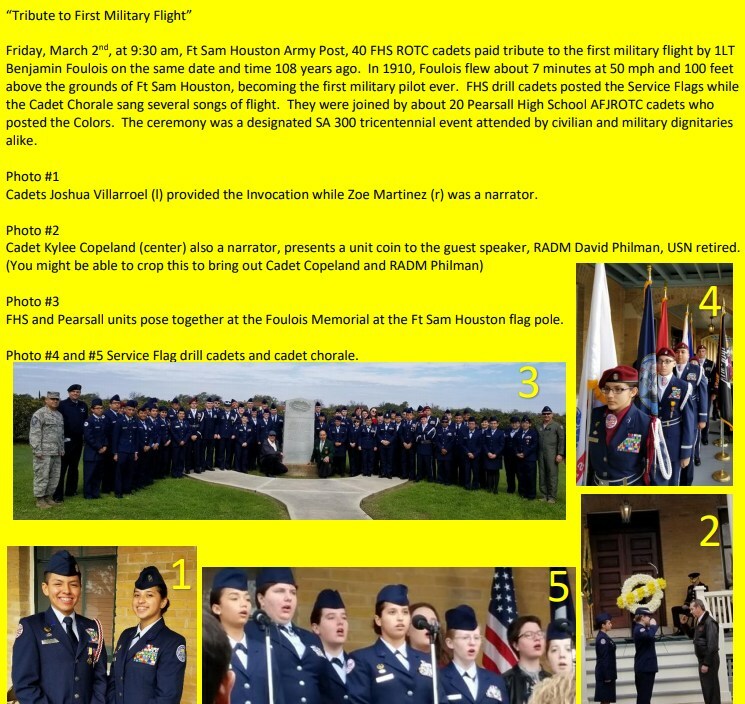 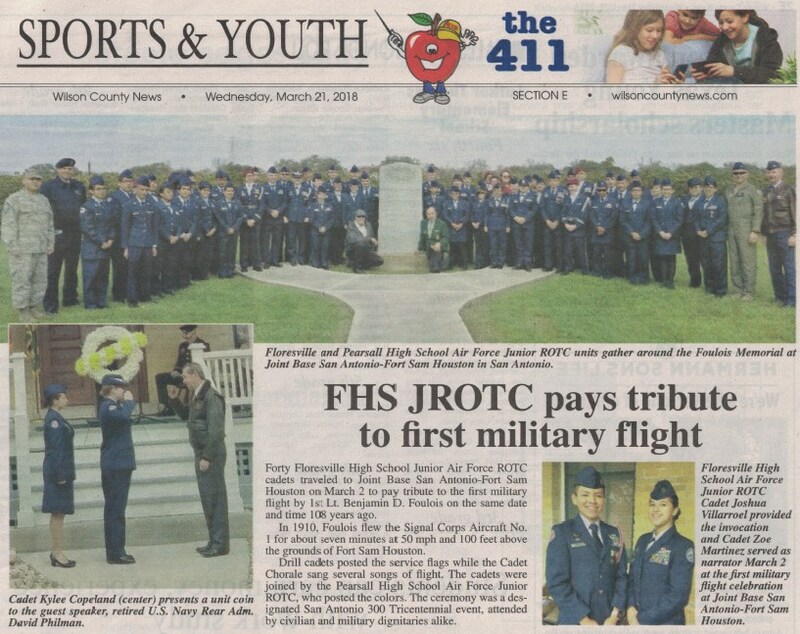 Air Force JROTC » FHS Cadets Pay Tribute to First Military Flight! 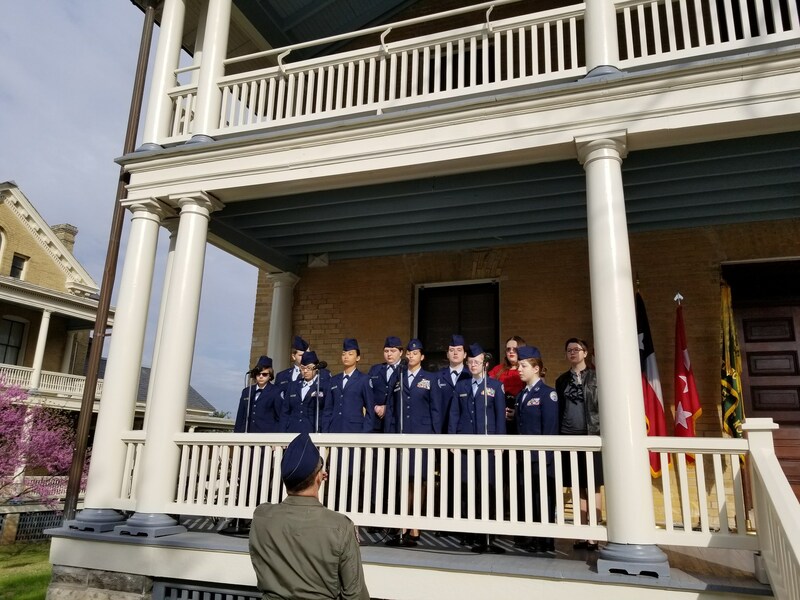 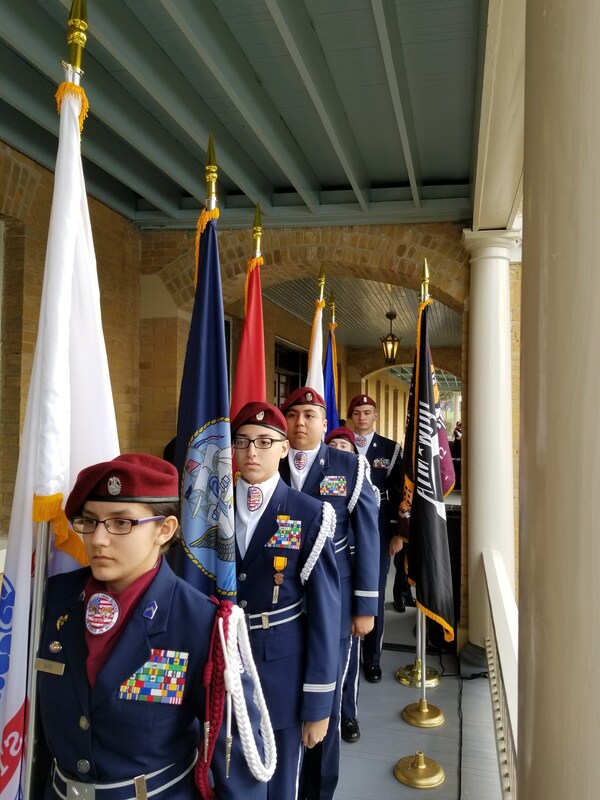 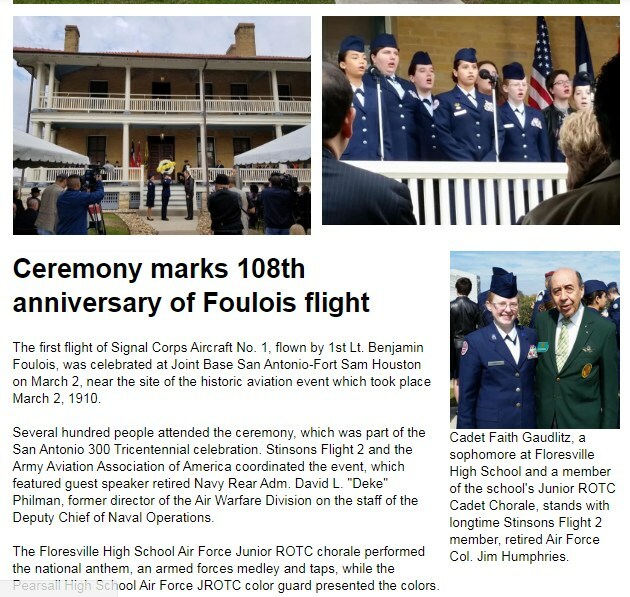 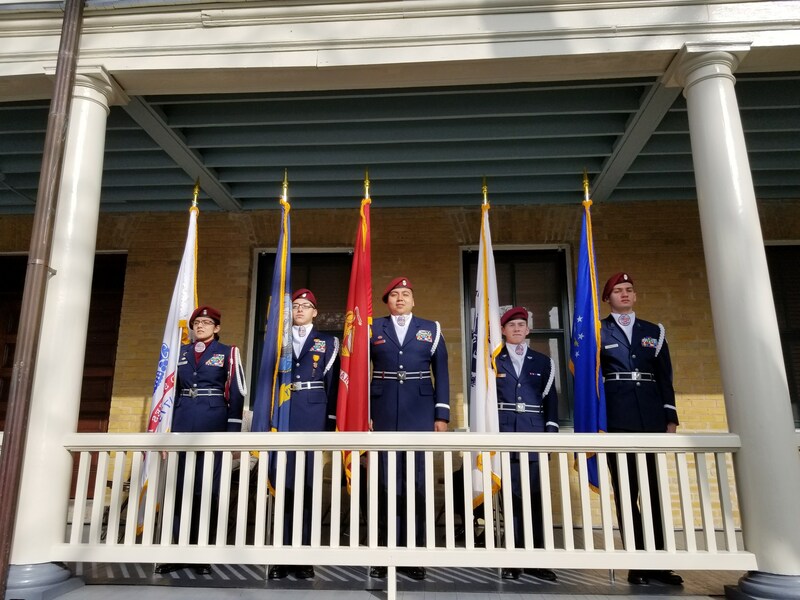 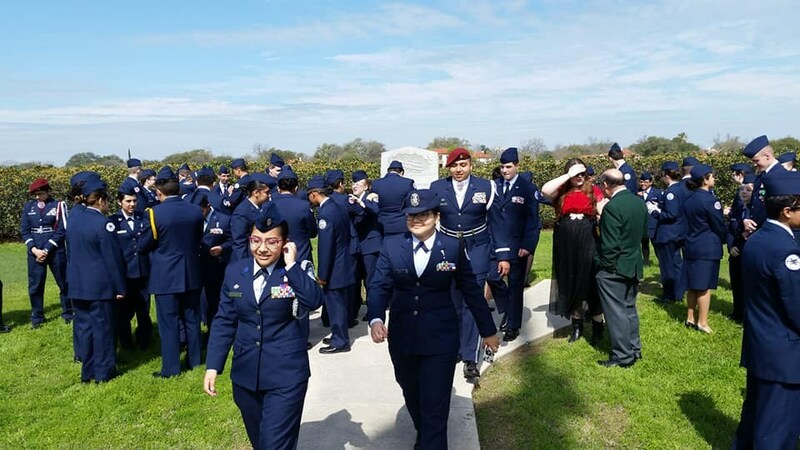 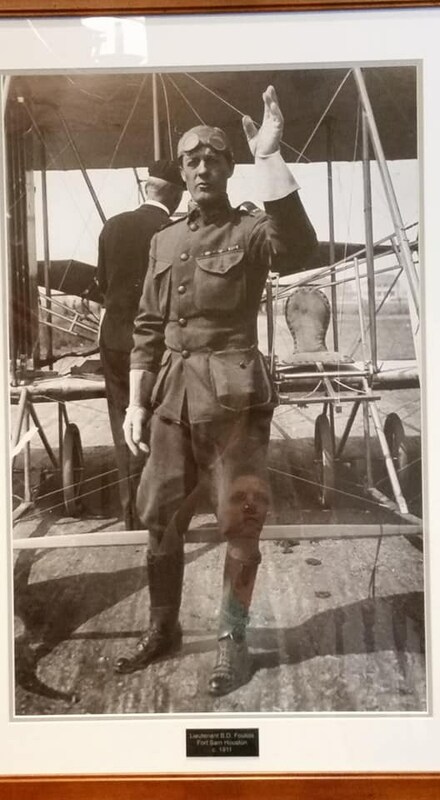 Friday, March 2nd, at 9:30 am, Ft Sam Houston Army Post, 40 FHS ROTC cadets paid tribute to the first military flight by 1LT Benjamin Foulois on the same date and time 108 years ago. 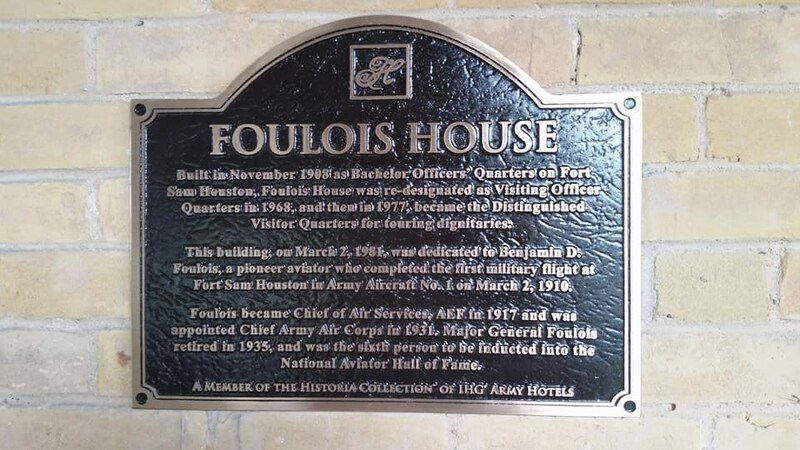 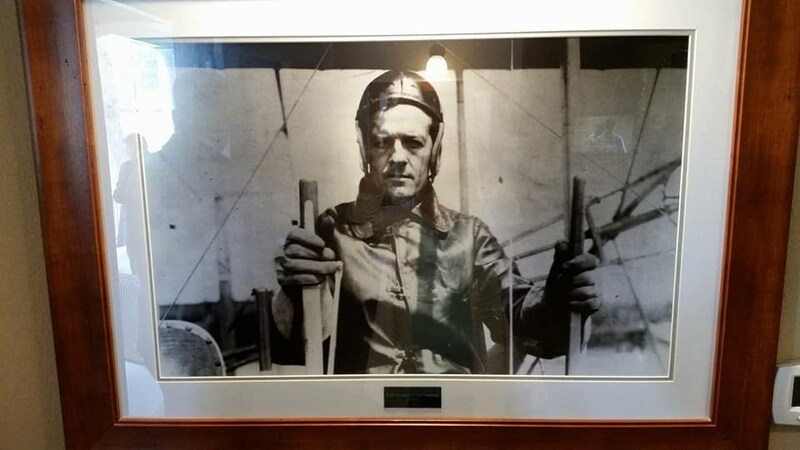 In 1910, Foulois flew about 7 minutes at 50 mph and 100 feet above the grounds of Ft Sam Houston, becoming the first military pilot ever. 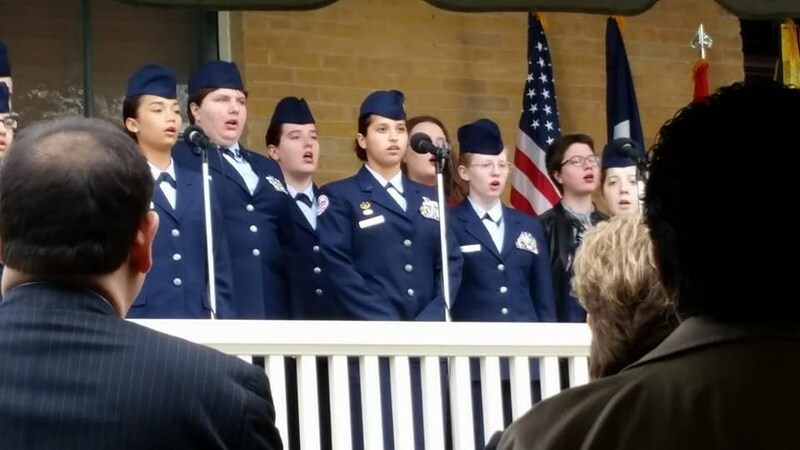 FHS drill cadets posted the Service Flags while the Cadet Chorale sang several songs of flight. 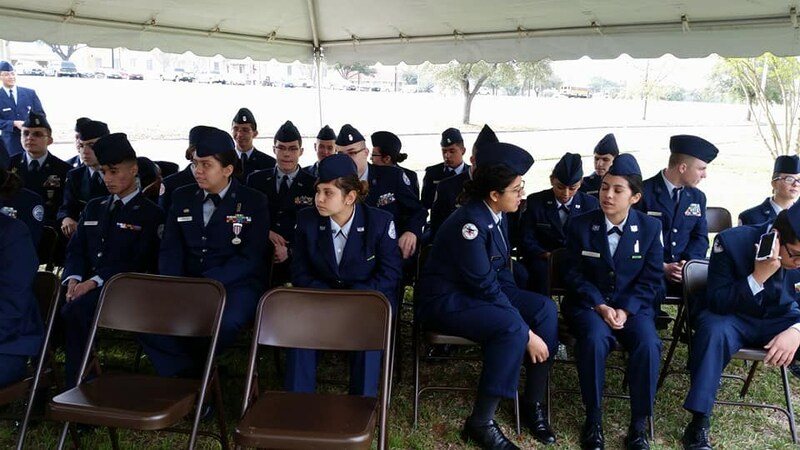 They were joined by about 20 Pearsall High School AFJROTC cadets who posted the Colors. 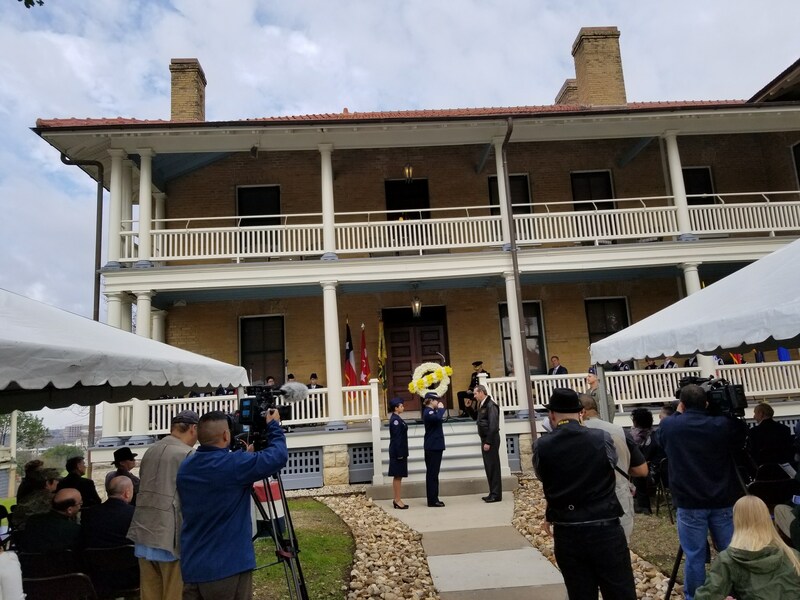 The ceremony was a designated SA 300 tricentennial event attended by civilian and military dignitaries alike. 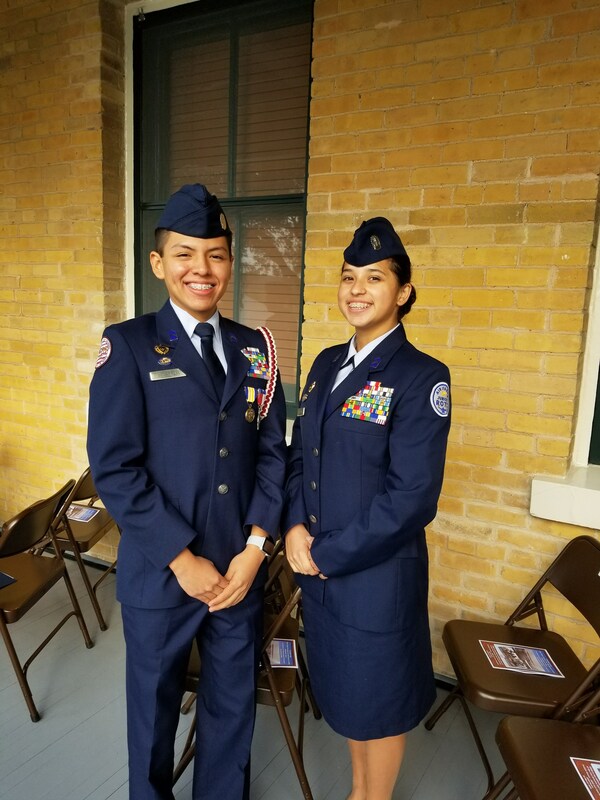 Cadets Joshua Villarroel (l) provided the Invocation while Zoe Martinez (r) was a narrator. 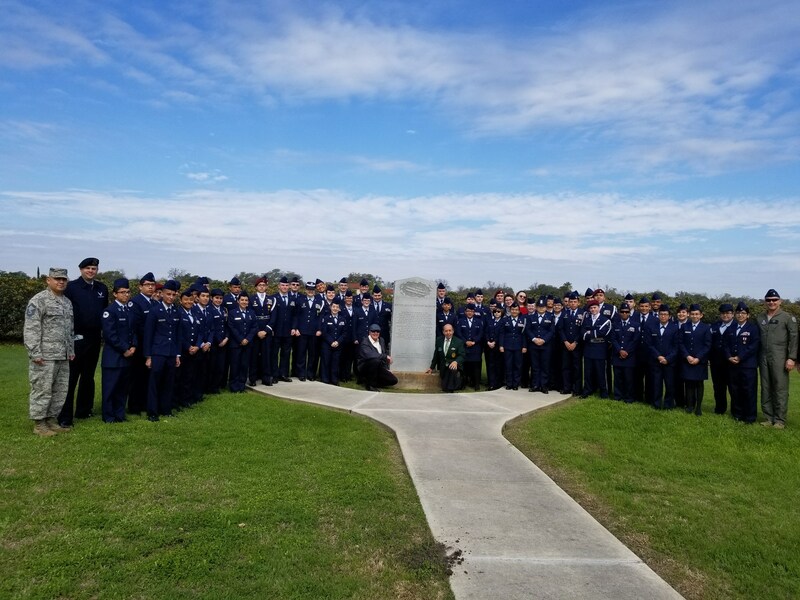 FHS and Pearsall units pose together at the Foulois Memorial at the Ft Sam Houston flag pole.